The village of South Elgin is located approximately 43 miles northwest of the Chicago "Loop" in suburban Kane County. The population was 16,100 at the 2000 census, and estimated to be 20,758 as of 2005. 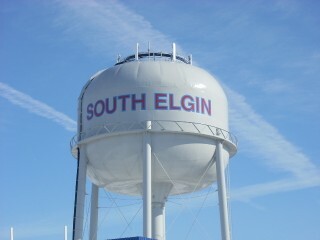 In July 2007, Money magazine named South Elgin as 82 of 100 entries in its "America's Best Places To Live" edition. South Elgin is bordered by the city of Elgin to the north, Bartlett to the east, Valley View to the south, and unincorporated Kane County to the west.